After an almost celebratory opening on Monday which saw the Dow up 200 points, stock steadily declined throughout the day and closed at their lows. On the surface, the average person saw all of the major indices nicely higher with the vast majority of stocks up on the day. 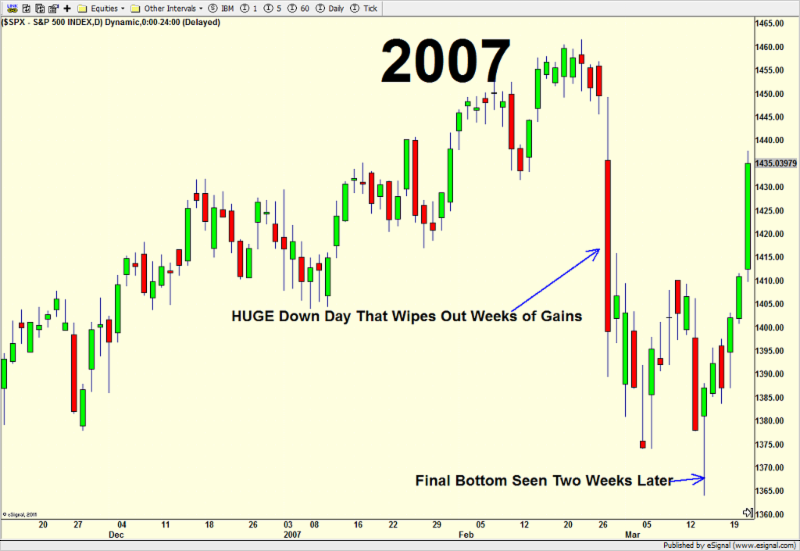 The short-term trader saw a tired market that couldn’t hold early gains and closed at the low tick. Both observations are correct but time frame determines your viewpoint. I fall somewhere in the middle. As I mentioned last week here and to CNBC India interview, I am looking to go opposite the reaction we see from the BREXIT vote on the 23rd. The hardest thing will be if stocks meander into the vote. I will have more on the BREXIT tomorrow. Defensive sectors remain in the leadership as utilities, staples, telecom and REITs all behave well. However, don’t overlook energy, materials, internet and industrials. Long-term treasuries and gold put in significant downside reversals so the bears have the ball there. It will be interesting to see how they trade into the vote as well as after. Finally, high yield bonds are trying to step up again and they will need to if the rally in stocks is to make new highs sooner than later. 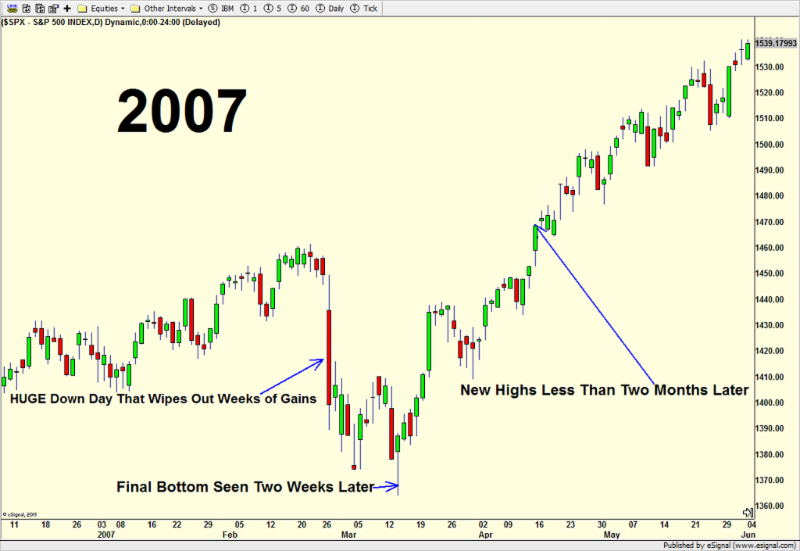 As has been the theme since the February bottom, weakness is buying opportunity until proven otherwise. Except for the brief period from April 21 to May 20, I have been pounding the table on the bullish front. The Fed, earnings, China, BREXIT, employment have all given ammunition to the bears, but someone forgot to tell the stock market. Last Thursday saw a somewhat dramatic reversal the day after the Fed meeting which helped our Fed trends. While the bulls took a break on Friday and the naysaying pundits were out in force, it did nothing to negate the uptrend and rally. The bulls have the ball and it’s time to move. Heading in to the new week, we have more day of the positive Fed trend which is a small tailwind. However, the week after June options expiration has historically been a challenging one for the market, especially when stocks are above their average price of the last 50 days which they are not right now. Additionally, from now through the end of June, small caps typically outperform large caps. Sector leadership has been good not great with semis, industrials, materials, energy, telecom, REITs, staples and utilities behaving well. Healthcare, biotech, banks and retail are not. High yield bonds have pulled back and it’s time to step up as treasury bonds should see some weakness. Finally, as I keep saying, watch how markets react to new not what the news is. With the BREXIT vote coming on the 23rd, you would intuitively think that the pound and euro would be under pressure. However, they are acting nicely in the short-term and should see added strength into the vote. Speaking of the vote, I will be publishing a piece on this shortly as I head to Baltimore. If you’re in that area and would like to grab coffee or an adult beverage, please let me know. Six weeks later and it’s Groundhog Day all over again! Or is that deja vu all over again?!?! It matters not. I began my Fed day comments with this in April. Before I get into the meat of this issue, I want to mention three independent studies surrounding FOMC meetings. All three short-term studies conclude that stocks are supposed to rally here. One is a one day trade. One is a two day trade and one is a three day trade. Their accuracy has been 70-90%. For four weeks, we continually heard from the Fed heads and pundits that Yellen & Co. will definitely raise interest rates on June 15. Goldman Sachs, Merrill Lynch, UBS and the endless parade of analysts on the financial channels. It was a certainty. The Fed heads prepared us over and over and over again through their speeches. They publicly wanted to hike rates. They needed to raise rates. They thirsted and craved higher rates. They were out of their collective minds and the word “quack” now comes to mind. With the blink of an eye, one weak employment report and a June rate hike is all but off the table. And almost as fast, those same pundits and analysts are now forecasting with certainty that the Fed will stand pat at 2 pm on Wednesday. Did they forget about the vote across the pond on June 23 for the UK to exit the Euro? There was no way Janet Yellen was going to raise interest rates before then. How fast can you say, total lack of credibility??? Since late 2008 I am on record all over the place saying that the Fed should unequivocally not raise interest rates until the other side of the next recession after the Great Recession. Since then and every moment after, I have firmly stated that the recovery would not be and is not your typical sharp snap back. Rather, it is a post-financial crisis recovery which is uneven, tantalizing, teasing and once in a while terrifying. They do not happen all that often around the world, but the path is very clear. This is not new news for you, my loyal readers, nor is it new for anyone paying even the slightest attention to the real world. For years, I was convinced that the economy and markets could not handle higher rates. I am still not convinced. However, over the past year and a half, a few new reasons became clear. First and perhaps most important, I do believe that Janet Yellen is keeping the U.S. dollar under her hat. Fed officials rarely discuss currencies, but as I mentioned six weeks ago, I firmly believe that the really smart folks inside the room are worried that future rate hikes with the rest of world easing and/or accommodative with negative interest rates abound, the dollar could pull a repeat of the mid 1980s where it soared to almost 150 on the trade weighted index as you can see below. Let’s say the Fed raised interest rates next month. Would you rather own the dollar where rates are increasing or the Euro where rates are becoming more and more negative each month? Where would your money be treated best? You can make the same argument in Japan. The Japanese will continue to print and print and print, buy and own almost 100% of their government bond market and force rates well below 0%. Money flows where it’s treated best. In the short and intermediate-term, more rate hikes from the Fed would fuel another major rally in the dollar at least to the upper end of the trading range that’s been in existence since early 2015 as you can see on the chart below. That would not be bad overall. Sure, companies who export goods would struggle but the rest of the corporate world would do just fine. 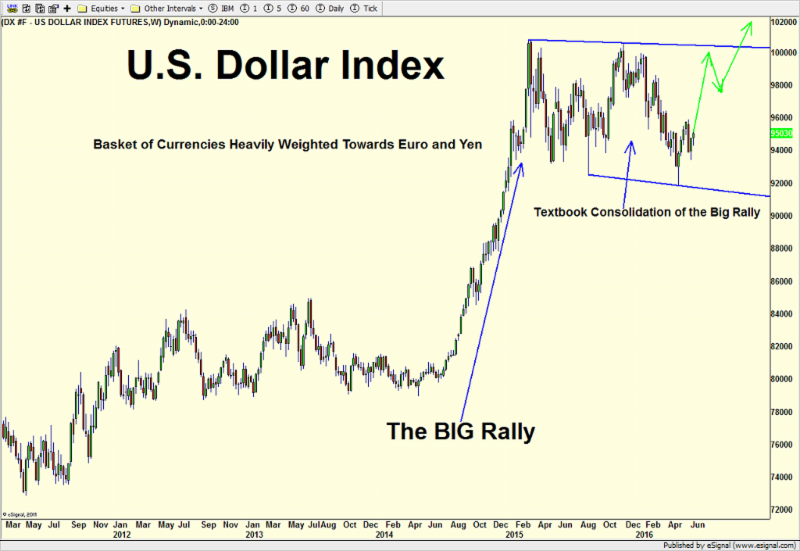 The real concern comes once the dollar scores fresh highs and stays there for at least a few weeks. The scenario would quickly turn to the playbook from the mid 1980s but on a much grander scale. 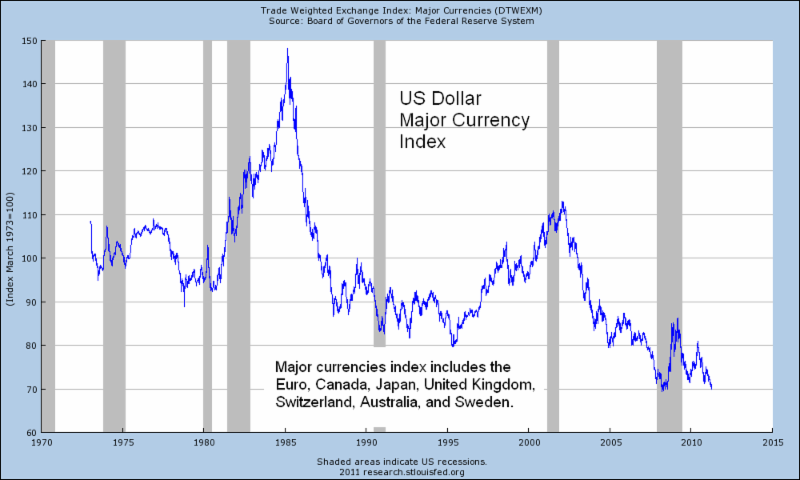 I contend as I have since early 2008 that the U.S. Dollar is in a secular (long-term) bull market that will carry the index well above 100 with the Euro first falling below par (100) on the way to collapsing to all-time lows below 80. If I am right, we will see massive capital flows from Europe and Asia into the dollar sometime in 2017 or 2018 that will feed on themselves. After dollars are bought, money will flow into treasury bills and notes for those seeking safety. However, similar to the 1980s, I see hundreds of billions and ultimately more than a trillion dollars making its way into blue chip stocks. 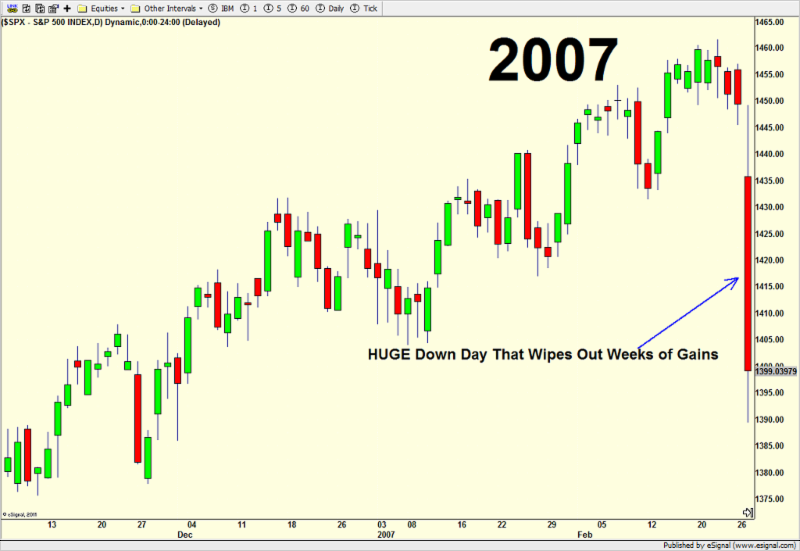 That’s where my long standing forecast of Dow 20,000 and above come into play. Investors will be partying like it’s 1985 – 1986 again. Ultimately, as with any and all gargantuan capital flows, severe global market dislocations will appear and we all know how poorly they end. The crash of 1987 was how the 80s dollar boom ended. Besides the dollar and the upcoming vote by the UK to leave the Euro, few seem to be talking about China. Forgetting about their weakening economy and real estate woes, let’s not forget that the Bank of China responded very decisively to the Fed’s December rate hike by devaluing their currency several times in January and February, adding further stress to the global markets. 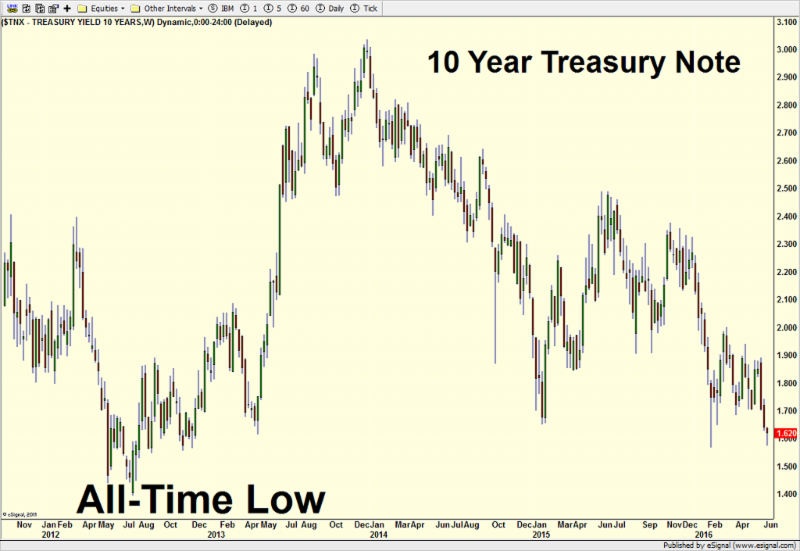 Finally (for now), long-term interest rates as measured by the 10 year Treasury note are back down to the 1.6% level as you can see below. That’s getting eerily close to the all-time lows levels of 1.4% seen in 2012. While the Fed controls the overnight lending rate, the market determines most other rates. How “interesting” that the Fed heads would even contemplate raising short-term rates with long-term rates in collapse. This would further serve to flatten the yield curve and damage banks. I am all the way to the end and it’s time to hit the send button without diving into stock market leadership which has been solidly defensive of late. Both utilities and consumer staples (for full disclosure we own them) recently hit all-time highs as bonds prices rallied. Dividend paying blue chip stocks are in high demand as replacements for “safer” fixed income. As I write about all the time on www.investfortomorrowblog.com, I care much more about the markets’ reaction to the news over what the news actually is. Keep a close eye on what leads and lags from 2:30 to 4 pm today. For the shortest and most nimble traders, selling long-term bonds, utilities and staples on the Fed announcement may be a good play. At the end of last week, stocks looked a tiny bit tired. Two days later and 2% lower, it’s getting ripe for at least a bounce. Over the past week, the inverse volatility ETF (XIV), which is really just the S&P 500 times 5 or 6 is down a whopping 34%! That’s some odd behavior and historically does not portend more significant downside. Stocks are pulling back as they approached all-time highs which is certainly not unexpected. There are few indications that this is anything more than a dip to buy. Yes, I know the Fed is meeting right now. They won’t raise rate. Yes, I know that global rates are going more negative with the German 10 year Bund now below 0%. It’s a fear trade. Yes, I know that the UK has a vote to leave to Euro on June 23. Watch how the markets trade into the vote and after the vote, not what the vote actually is. While the world turns dramatically bearish, keep in mind that the NYSE Advance/Decline line which measures participation is but a four days removed from an all-time high. High yield (junk) bonds, perhaps my favorite canary in the coal mine, are just two days removed from 2016 highs. Semiconductors have been leading which is a very positive intermediate-term sign although the other key sectors, banks, discretionary and transports are treading water. All in all, I am a buyer into weakness until proven otherwise, the same tactic I have discussed since the February bottom. Keep a close eye on the sterling and euro ahead of the June 23 vote. The other day, I wrote about the potential for a 1-3% pullback in the context of generally higher stock prices. That remains my view and weakness can be bought. It’s amazing that a single day of decline in the stock market after a 5% rally can bring out so many bears. Stocks were overdue for some weakness and now we have it. While it’s probably a coin toss in the short-term with the Fed meeting next week and UK vote exit the eurozone on the 23rd, the intermediate-term remains solid. In Friday morning’s piece, The “All-Important” Jobs Report, I discussed that it’s much more important to watch how the markets react to the news rather than what the actual news is. The jobs report was abysmal and the media reacted in kind by rolling out every bearish economist to let us know that the economy was as weak as anytime since 2009. Market strategists also responded as expected with the same wrong calls for a major correction and new bear market. How many times have we heard these Chicken Littles calling for the end of the world over the past 7 years? It’s such a joke than anyone listens anymore to people who have been continuously misguided for that long. Don’t get me wrong. I make more than my fair share of mistakes. It’s always okay to be wrong; it’s just not okay to stay wrong. Anyway, after some weakness early Friday morning, stocks slowly and surely rallied throughout the day into the close. 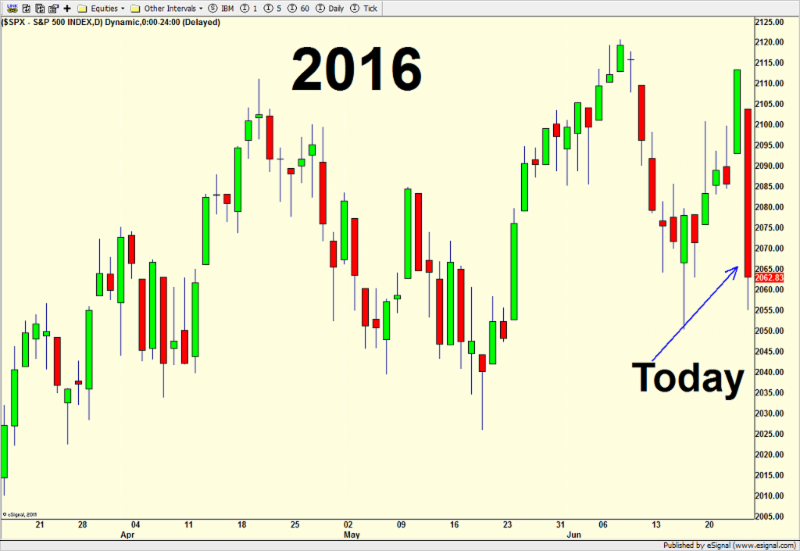 That continued on Monday and Tuesday with the S&P 500, S&P 400 and Russell 2000 closing at new highs for 2016. Since I turned positive again on stocks on May 23, the major indices have rocketed higher and are still moving higher today. The peak is not close at hand although some short-term pause to refresh may be closer on the horizon. That could mean 1-3% on the downside. Buying weakness remains the correct strategy until proven otherwise as has been the case since early February.